The concept of pet tecH, or the Internet of Things (IoT) for Pets, is all about connecting, interacting and receiving real time information of our dogs and cats through intelligent, internet-connected devices and software in the privacy of our home or in public spaces. It has only been a few years since we first heard of the brave new world of IoT—tracking apps, wearables and devices designed to enrich people’s lifestyle. Now there is increasing attention focused on creating similar devices for our pets. As the concept of pet humanization develops in Vietnam, where pet owners see themselves as ‘pet parents’ and treat their pets as family members, pet owners will begin to adopt devices that connect them to their favorite furry buddies through their smartphones, anywhere anytime. This article provides a brief introduction of three common categories of smart pet products and services to consider: pet wearables, apps and cloud-based software, and connected interactive monitoring devices. Devices include health and wellness monitors, GPS trackers, smart interactive toys, training tools, and remote-controlled cameras and feeders. The devices may have built-in WiFi, RFID or Bluetooth networking capabilities, facial recognition software and even the ability to take a selfie of our pets and sending it back to our smartphones. In Vietnam, many owners are concerned about the quality of pet care services they receive and the limited availability of nutritious pet foods. One inspiration in the development of pet tech devices by the designers, many with a background in veterinarian medicine, was to develop devices to empower and educate owners to use technology to monitor a pet’s health regularly and to be able to quickly take preventive action if necessary. Behavior: Separation anxiety (this home alone syndrome can create fear, noise and commotion in pets) and training. These interactive video monitoring and treat dispenser devices can comfort ‘home alone pets’ by allowing you to connect and communicate remotely, take selfies and dispense treats. Check out petbot.com and petchatz.com. Environment: Security and safety, weather conditions (heat, humidity and rain storms), and parasites (ticks and fleas). Apparel and bedding designed with ‘intelligent materials’ to combat elements from the environment. Check out Ruffwear (ruffwear.com) and Dog Amore (dogamore.net). 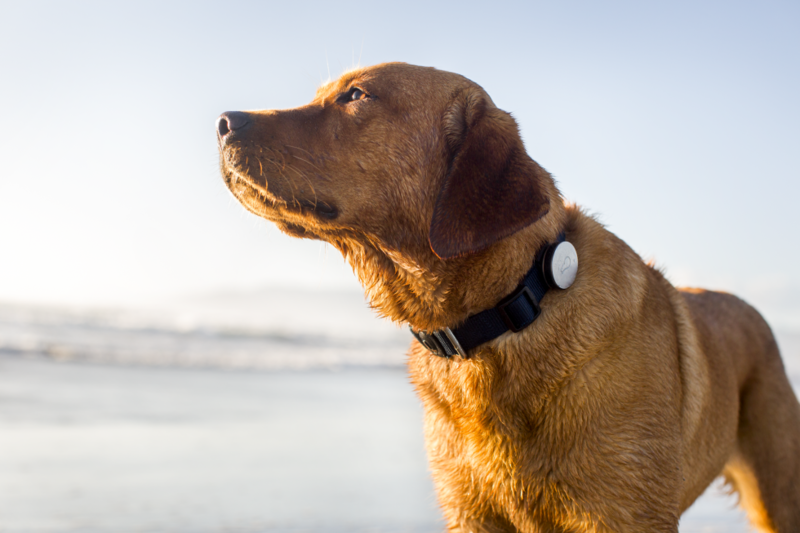 Smart, connected pet collars with GPS tracking and smartphone app health monitoring. Security features include ‘virtual lease’ technology and positive reinforcements to control behavior remotely. Check out petpace.com, fitbark.com and whistle.com. Health and Wellness: Health and wellness tracking apps (apps and cloud-based software) allow you to input symptoms and receive comprehensive information on diseases through communication with a veterinarian. Check out doggydoc.com and caninejournal.com/dog-apps/. Diet and Feeding: Weight control, feeding and dehydration/hydration controls. Smart bowls and feeders can feed pets remotely, eliminating the need for full bowls of food and water that spoil quickly in the heat. The devices can be remotely used for those short vacations without your pets, and also eliminates daily overfeeding. Check out petnet.io and sureflap.com. Entertainment and Playing: Interactive toys and training tools for socialization. Interactive devices used remotely or at home and controlled from a smartphone. Check out puppod.com and getshru.com. Pet technology is a recent trend and many of these devices are still developing and some only available as pre-orders. A few will only work within the designer’s proprietary internet networks in North America or Europe. But it is possible to experiment and ‘hack’ together a solution using a combination of available devices, apps and with regular consulting with your veterinarian. Anything that increases the security and awareness of preventive health care of our pets is warmly welcomed, insuring a richer and longer life with our ‘fur babies’ in Vietnam. BIO: With a family that includes six cats, two dogs and a couple of dozen fish, Wayne Capriotti is a zoo curator and, along with his wife, publishes Vietnam’s first pet magazine Me Thu Cung (www.petmagazine.vn).